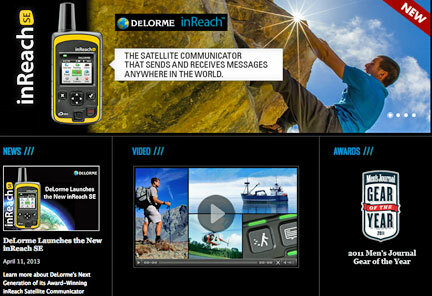 [SatNews] The Federal Aviation Administration (FAA) Alaska Flight Services has announced that the DeLorme inReach satellite communicator has been approved for the Enhanced Special Reporting Service (eSRS) program. The inReach is a small satellite communication device that provides automatic GPS flight following, SOS alerting and two-way text messaging from the air. The inReach device has a dedicated SOS button that, when pressed, immediately sends a distress message. The two-way communication feature of the inReach allows the search-and-rescue (SAR) authorities to send and receive text messages with the people in distress to ascertain the nature of the emergency and reassure them that help is on the way. The inReach device uses the Iridium satellite network to send and receive messages, ensuring connectivity anywhere in the world, including the most remote regions of Alaska, which are not covered by VHF radio service. This month, DeLorme also announced the launch of its Freedom Plans, providing contract-free month-by-month usage plans eliminating the need for an annual service fee.